We often call America the melting pot of the world, and that's been true since its birth. However, it's not just the presence of different ethnicities within a single place but also within a single person. 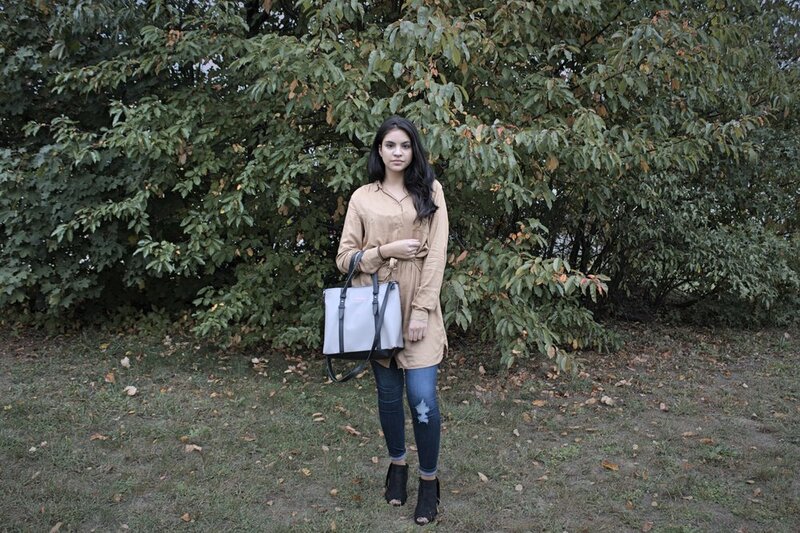 Today's featured fashion individual is Sarah, who is of Colombian, Puerto Rican, and Palestinian descent. Having such a diverse background also means she inherits the cultural values of both her mother and father. She grew up in North Jersey, just across the river from Manhattan. In a place like that, Sarah felt at home because the area was filled with all different nationalities and beliefs. Sarah mentions that it was easy to click with other kids in the community and finding someone to play with was never a challenge. It was truly diverse and an example of the modern day American society. Then, Sarah's family moved from their apartment across from New York to a home in Central Jersey, not too far from the shore. She was fairly young at that point, and at the age of seven, it was a difficult adjustment. She not only had to move to a place where she knew nobody, but also where she was unsure of how to tackle explaining her cultural identity to others. The communities in this section of Jersey were far less diverse than near the city. In turn, it was harder for Sarah to express herself. Time brings change as it always does. In the coming years, Sarah would again learn to embrace her mixed heritage. Her confidence grew and lead to the development of her great sense of style. She learned to love the fact that she gets to attend Arabic weddings and then come home to a Puerto Rican meal. Sarah is an amazing testament to today's American woman who comes from all different backgrounds and practices many different cultures. Sarah has got on a superb fall outfit for today. It begins with a tan shirt dress that's tied around the waist. This was originally a menswear inspired piece that many ladies, such as Sarah, rock exceptionally well. The fabric is lightweight, which is fitting for the rather warm October weather. She's also wearing some jean leggings, a simple yet great choice to go with her top. Finally, Sarah has on a pair of black, suede sandals with block heels. Along with a nice tote bag, Sarah's outfit is ready to take on the fall, no doubt.